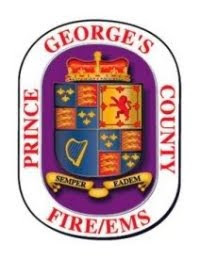 Prince George's County Fire Chief Benjamin Barksdale recently received a very complimentary letter concerning the actions of his personnel. Sarah Cavitt, Project Chair of the Dictionary Initiative, wrote to Barksdale saying, "Thank you, Battalion Chief Catterton and all the other fire/ems personnel for participating in the distribution of dictionaries at the Fort Foote ES on Thursday, October 5, 2017. The children were really thrilled to see all the 'uniformed' personnel." The books distributed to the students were sponsored by the Riverbend Estates Neighborhood Association. "I am always pleased to hear that our personnel made a difference at an event or in someones life," responded Fire Chief Barksdale. "I also would like to thank Battalion Chief Ashley Catterton and the 5th Battalion personnel for representing the Fire/EMS Department in such an outstanding manner. Job well done."